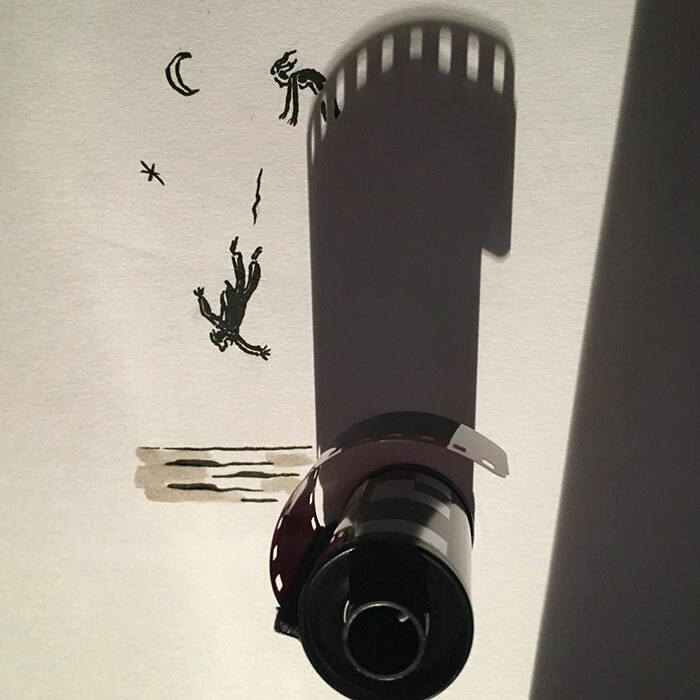 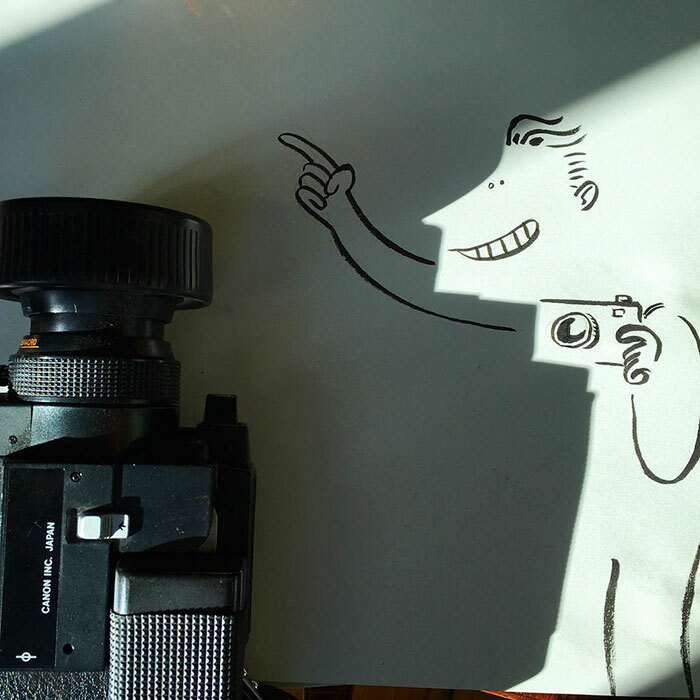 Belgian filmmaker Vincent Bal makes not only films and commercials, but creates a new kind of artwork – shadow doodles. 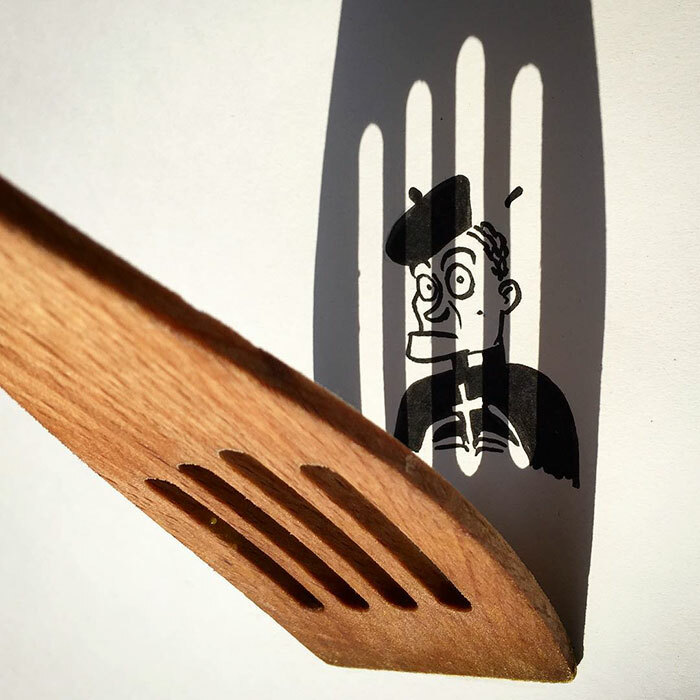 “While I was working on a new script last April, I noticed how my teacup made a nice shadow on a piece of paper. 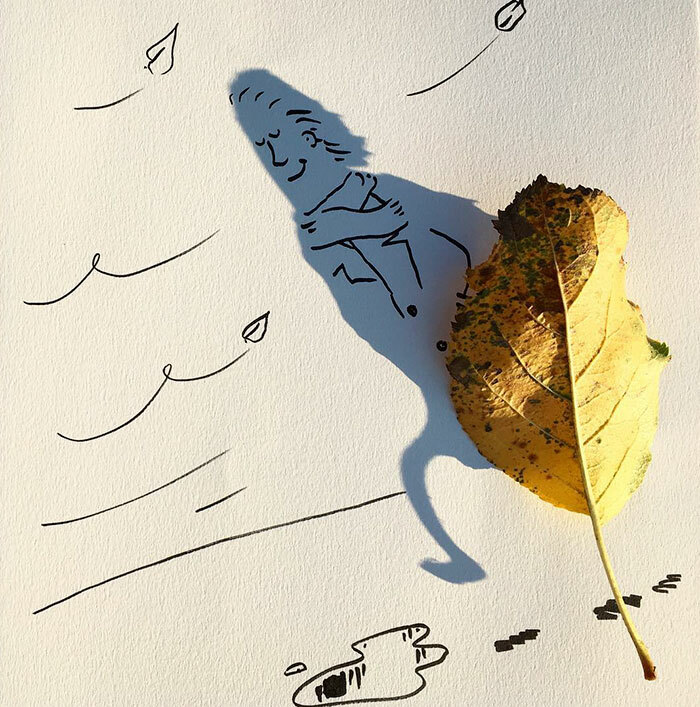 I drew some lines on it and suddenly the shadow was an elephant,” Vincent Bal says. 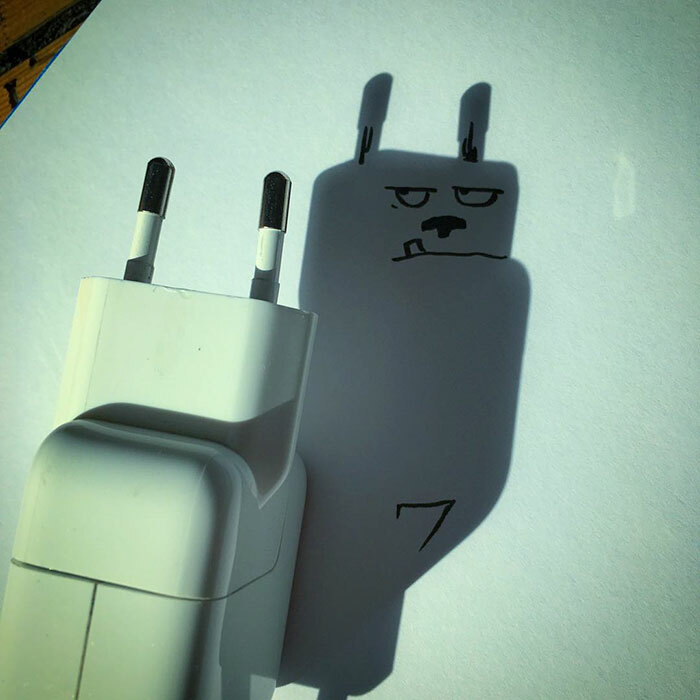 “I took a picture with my phone and posted it on Facebook. 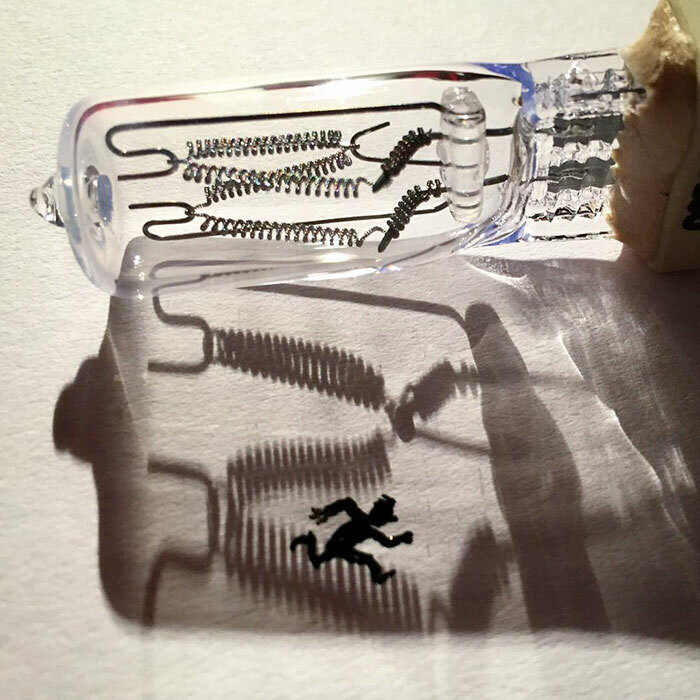 Before I knew it, this picture was shared and liked as never before. 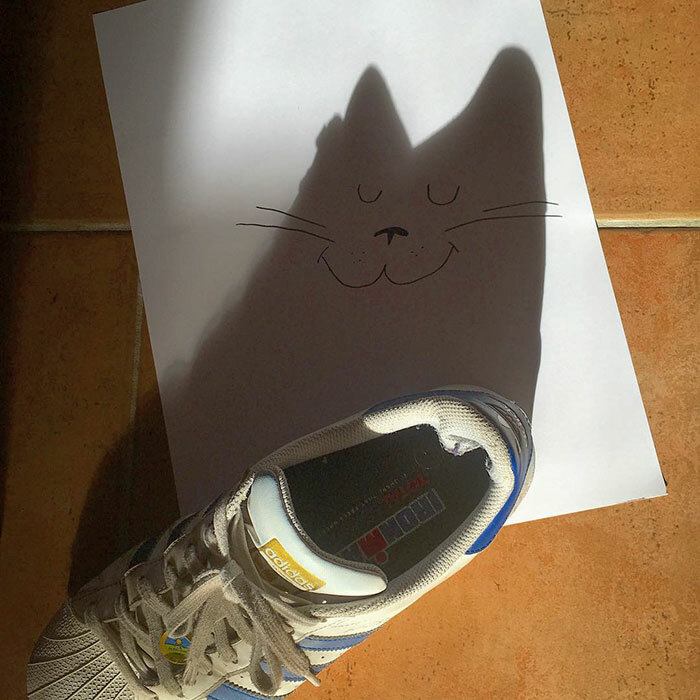 I was surprised how much people liked it. 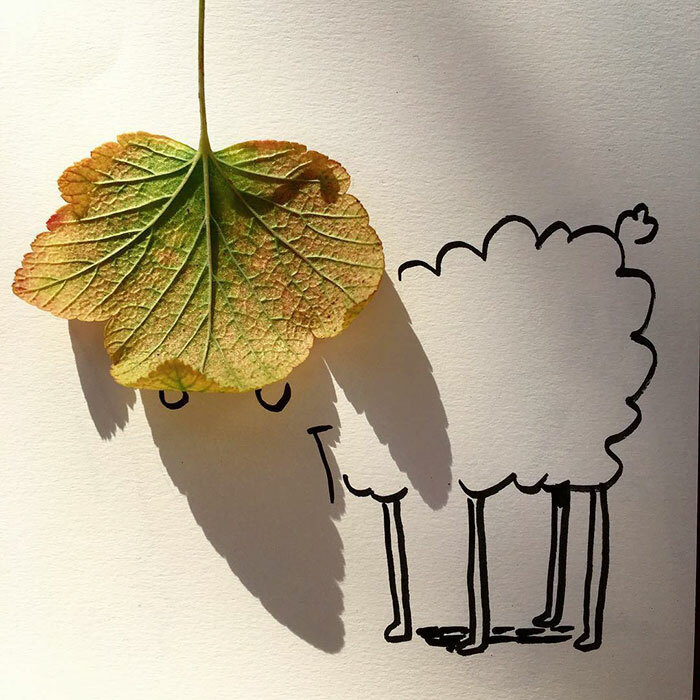 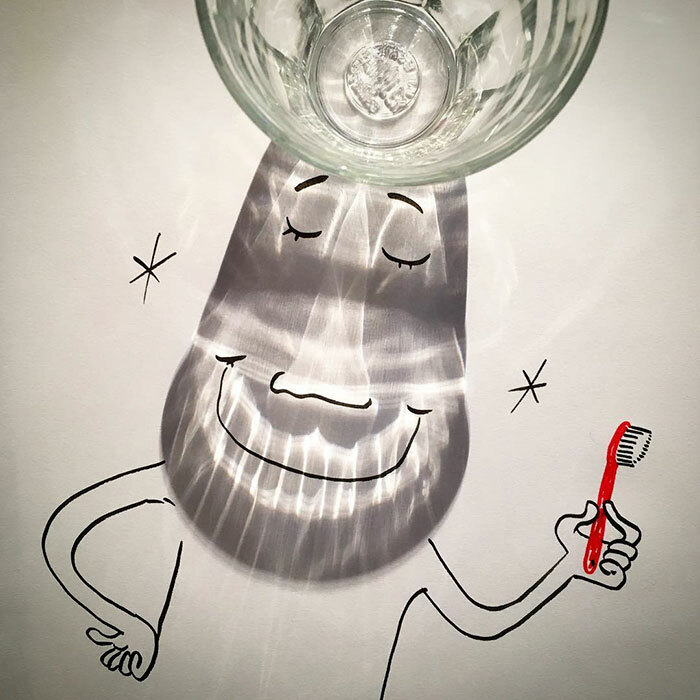 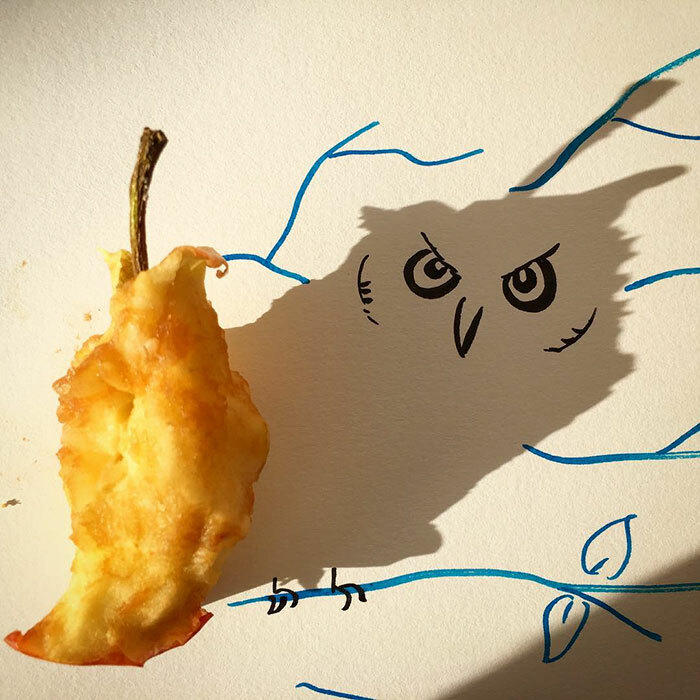 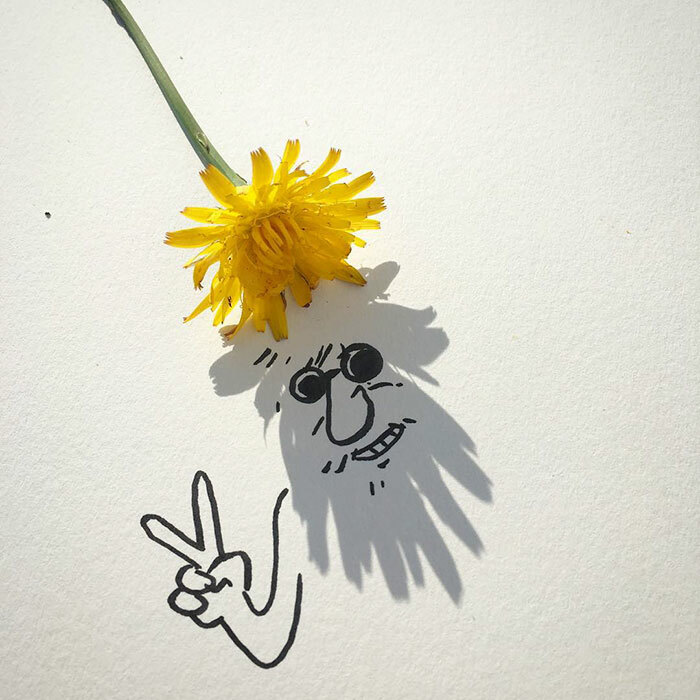 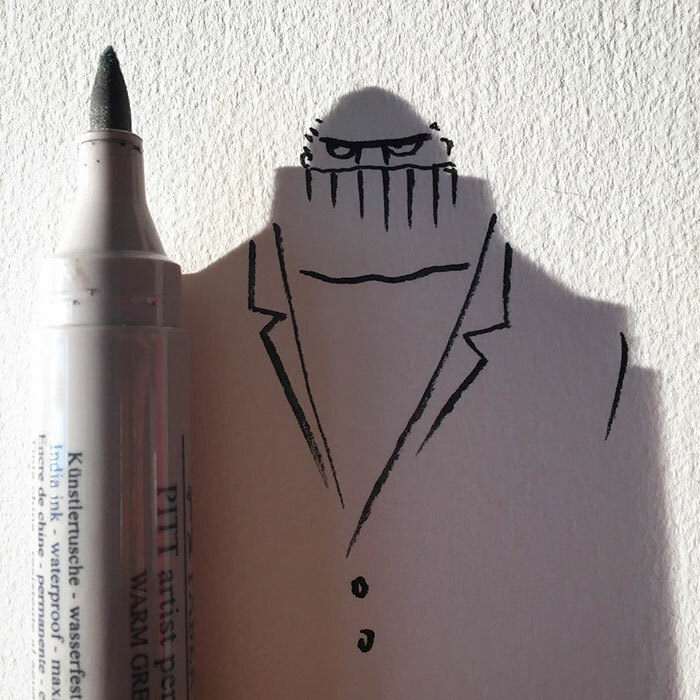 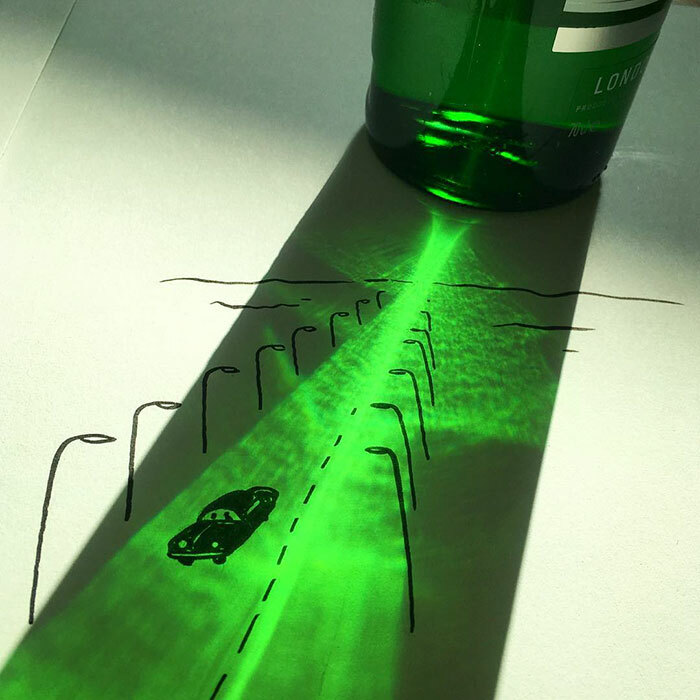 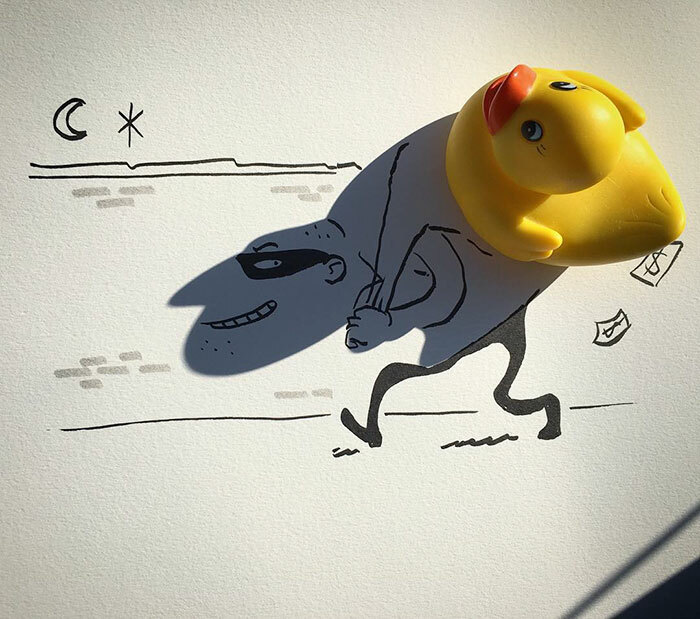 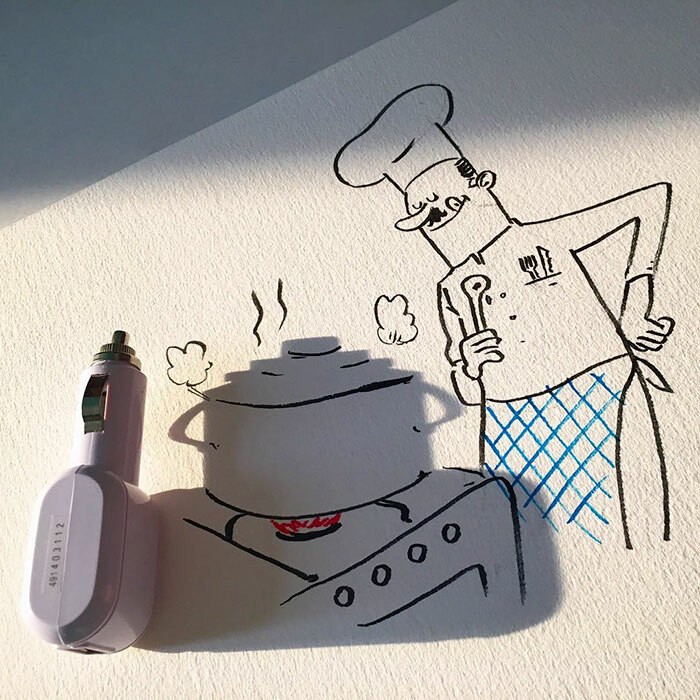 Since that day I’ve been posting a doodle a day.” Vincent Bal turns those everyday objects into funny shadow illustrations and shares them on social media.